Inside Modesto’s Beth Shalom Temple there was standing room only; another dozen people stood in the foyer. At the podium, a guest spokesman for the Islam religion said, “Why are we so afraid of difference when our Creator created us different?” The Imam spoke also of the close bonds between his church and the synagogue. In the audience, Christian, Jew, Muslim—all the colors of the American religious rainbow—listened silently. Some wept. 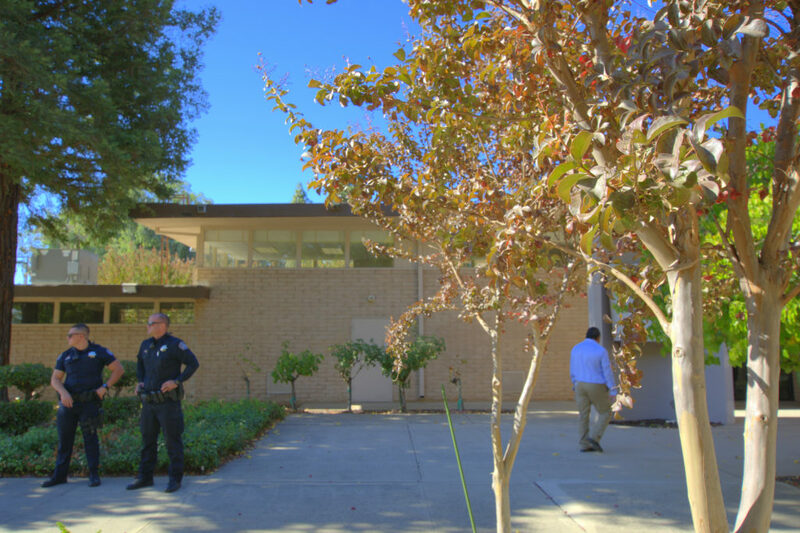 Outside the temple, two Modesto Police Officers chatted quietly. One mentioned that he never thought he’d be standing guard at a place of worship. It was impossible to avoid thinking what it means when people in a purported free country are wantonly slain while worshipping. 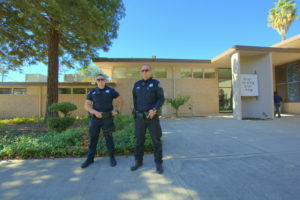 Even more sobering is the knowledge that some synagogues routinely have armed guards on duty, especially during high holy days. America—the “City on a Hill”—has always struggled to turn away the demons of hate, racism, religious extremism, and crackpot nationalism. But today the darkness is upon us again, and too many have gone silent. The greatest chapters in American history were written by those who honored liberty, equality, and the brotherhood of all mankind. From the very beginning of the nation’s history, unity has been the cornerstone of our values, beginning with George Washington, who warned in his Farewell Address of those who would divide us. Henceforward, we honor the heroes and leaders who acted so resolutely to animate our American ideals of liberty and justice for all. It is our mission to turn away the darkness. Very beautiful and well said! One correction : JEWISH HOUSE OF WORSHIP NOT CALLED A CHURCH! Proper word I’d Synagogue! Thank you for your article. Thank you Myrna. We have made a correction. I arrived early enough that I didn’t see anyone I knew. I was shown a seat between two men and then heard that the back would have to be opened. I had no idea how many were there until the end. Even looking back from my seat I got no feel for the magnitude of the masses. I sat rapt among crying Jews listening to everything. I felt the Imam from Manteca was best at stating the current situation and our common resolve to make things better. I was struck by the numbers of people in attendance. Your article captures the moment of awe and grace. Thank you Jim. Always appreciate your sharp eye. 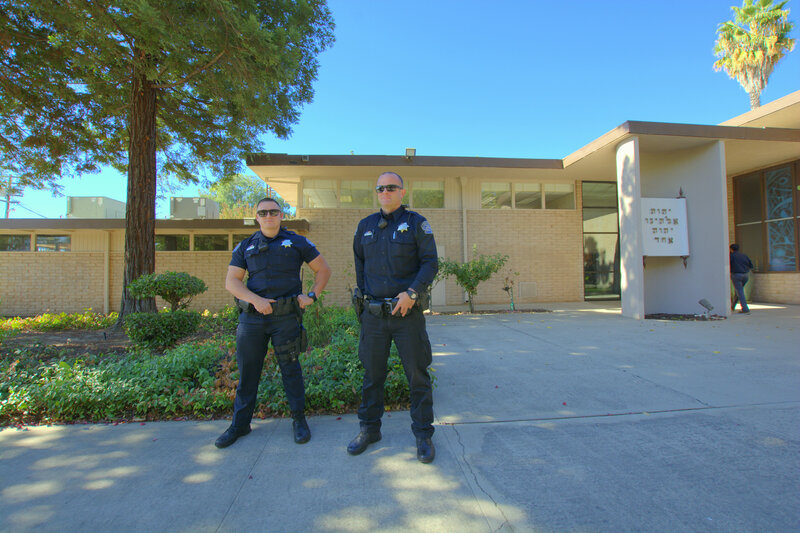 hi, just a quick note, our community is called Congregation Beth Shalom. temple is no where in our name. Thank you, Shoshana. Colloquially, it is often referred to as “Beth Shalom Temple,” meaning the building, as far as I understand. By any name, it is a community treasure. Keep up the good work. Our community needs this kind of reporting. Thank you. Thanks, Eric, for your beautifully-written tribute and your timely call for our nation to come together at this time of mourning and loss. We are an imperfect nation, but we’re blessed to be a nation founded on high ideals, that “all men (and women) are created equal, that they are endowed by their Creator with certain unalienable rights–that among these are Life, Liberty, and the Pursuit of Happiness”. When those of a particular race or religion are targeted simply because of who they are and what they believe, the foundations of our country are shaken. America has a proud history of being–oftentimes alone or nearly so–a strong supporter of the nation of Israel. We share in the terrible loss of life in Pittsburgh, for it is a loss for all of us who love this country. Thanks, Eric Caine and The Valley Citizen, for this thoughtful and much needed article. Our community continues to grow stronger as we support Congregation Beth Shalom and all places of worship. Millions of people in the world are working together to end hate speech and violence. This is a superb essay, Eric. Thank you for your elegantly-crafted comments. I’ll definitely be forwarding it to others.